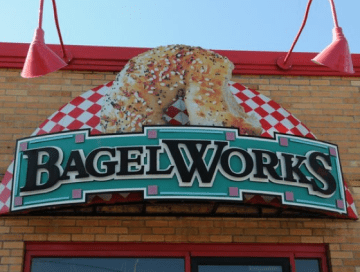 Since 1991 the Bagel Works staff has been boiling and baking New York style bagels for our customers. Offering an assortment of breakfast and lunch sandwiches, topped with freshly prepared ingredients. Savor the flavors of our homemade cream cheeses and spreads. With over 10 varieties of bagels to choose from, the combinations are endless!